We’re decidedly different from the traditional dental practice in many ways, large and small. In little touches like our juice bar, the offer of refreshments like cappuccino, performing the Chinese tea ceremony, providing a comfortable lounge with a telephone for your use. Quality is paramount in everything we do. In important things, like a hand-picked staff that Dr. Kimbrough has spent years developing into a superb team. There is simply no more professional or highly experienced staff in the area. Every member has been a part of our team for more than a decade. 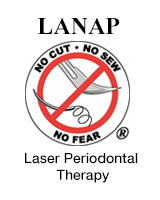 Cleanliness and sterilization are unsurpassed, as is the personal, highly individual care we provide every patient. For example, we are always pleased our patients with the red tape associated with insurance benefits -including paperwork, making phone calls, whatever it takes. We’ll help you secure the maximum benefits for any portion of your treatment that insurance may cover.